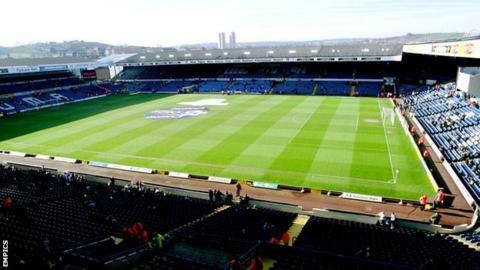 Leeds United owners GFH Capital reject offer for "majority stake"
Leeds owners GFH Capital say they have rejected an offer for a majority stake in the Championship club. BBC Radio Leeds understands a Yorkshire-based consortium tabled a bid for an 51% initial share with a view to a phased buy-out. The identity of the consortium members has not been disclosed. GFH Capital, a Dubai-based investment bank, from Ken Bates for a reported £52m in December. "As can be expected with a club as fantastic as Leeds United, since our acquisition we have received several offers to invest in the club alongside us," GFH Capital said in a statement. "The most recent offer was for a majority stake and has not been accepted. "Although we continue to seek strategic investors, we will only bring on board those who we feel can make a positive contribution to the sustainable success of Leeds United." Bates remained chairman after the deal was completed and is due to become honorary president at the end of the season.